How about smoked salmon and dill eggs Benedict for the ideal Valentines Day breakfast for the love of your life – it’s indulgent and delicious, packed with healthy omega 3, it’s perfect for matters of the heart! Fill a large saucepan with 5 to 7cm (2 to 3 in) of water and bring to the boil over high heat. Reduce heat to medium-low, pour in vinegar and a pinch of salt. Crack an egg into a bowl then gently slip the egg into the water. Repeat with remaining eggs. Poach eggs until whites are firm and yolks have thickened but are not hard, 4 to 6 minutes. Remove eggs from water with a slotted spoon, dab on a kitchen towel to remove excess water, then transfer to a warm plate. Generously spread each muffin half with dill butter. Top with a layer of smoked salmon, then 1 poached egg. Season with cayenne pepper, salt, and black pepper to taste. Garnish with a dill sprig and serve. 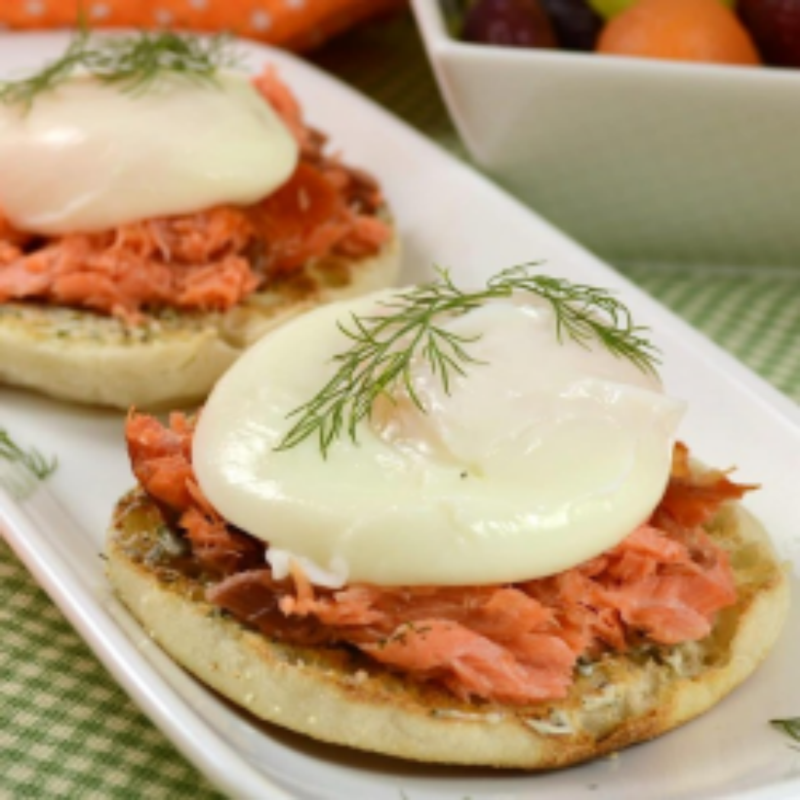 Smoked salmon is the perfect accompaniment for eggs and this recipe for smoked salmon with dill eggs Benedict takes some beating!